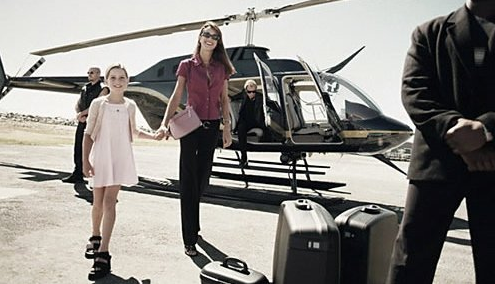 The Finest Hotels of the World offer you the exclusive service and convenience of first class Helicopter service. Travel by helicopter offers you the time saving efficiency of air travel combined with the convenience and flexibility of driving. There is no better way to really get to know your destination than by exploring it via helicopter. Experiencing the bird’s eye view can enhance your cultural experience and save you time in that you get the big picture of must sees that might otherwise require hours of walking. Helicopter charter also allows you to discover areas of amazing natural beauty that most visitors and many locals never get to experience. Avoid all those extra hours you spent in crowded airport terminals, delayed and cancelled flights. Let us eliminate all of the stress and aggravation of flying on commercial airlines! We features an impressive fleet of helicopters suited to a variety of applications. Whether your goal is to wow an important client, or someone special in your life, we can assist you in creating a truly unforgettable experience.